He jumps from the foul line and jumps over you, waves at you and then dunks on your head, fool. From beyond the arc, SWOOSH!!! Another 3-pointer!! 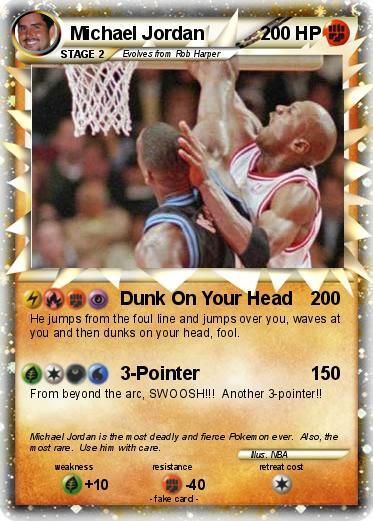 Comments : Michael Jordan is the most deadly and fierce Pokemon ever. Also, the most rare. Use him with care.